A year-long investigation by the Inspector General shows that imported organic foods are not up to standard. Can we trust organic food that has been produced overseas? That question has gained urgency lately as demand for organic products has outpaced domestic production, leading to steady growth in such imports. The total value of imported organic foods tracked by the U.S. Department of Agriculture (USDA) grew from $667 million in 2011 to $1.65 billion in 2016. An investigation by the Washington Post earlier this year found that large shipments of conventionally grown corn and soy were improperly labeled organic, bringing consumer concerns about the reliability of the USDA Organic label to a new level. For years, news reports have raised questions about the validity of organic certification for milk, chicken, eggs, and many other types of organic products. Now, a new audit of the National Organic Program’s (NOP) international trade arrangements and agreements, conducted by the USDA’s Office of Inspector General, underscores those concerns and shows that the organic industry has far to travel before Americans can trust what is sold as certified organic, up and down the supply chain. In order for producers in other countries to import products as organic to the U.S., the Secretary of Agriculture must certify that those countries’ certification schemes are substantially equivalent to the USDA’s. Currently, Canada, the European Union, Japan, Korea, and Switzerland all have these agreements in place. Mexico and Taiwan are in the midst of negotiations to earn equivalency. The USDA’s audit spanned 13 months, from March 2016 to April 2017, and the agency’s summary report identifies four key shortcomings in how the agency works with goods imported from those countries that reveals weaknesses at every level. The resounding issue is a lack of transparency. First, auditors found that the agency’s Agricultural Marketing Service (AMS), which houses the NOP, did not clearly share with stakeholders its methodology for determining how other countries’ organic standards compared to the USDA’s. And the on-site audits meant to ensure the efficacy of other countries’ certification practices were not conducted in a timely way, auditors found. In addition, once products reached the U.S. border, auditors found that the agency did not provide reasonable assurance that inspectors reviewed the required documents proving organic practices at U.S. ports of entry. Finally, auditors also found that millions of pounds of organic products were sometimes fumigated with conventional pesticides to prevent invasive pests from entering the country, but still labeled and sold the food as organic. Politicians, policymakers, and the public—who bought $47 billion worth of organic food last year—are in agreement that loopholes are likely allowing conventional food into the organic market. But getting them to agree on a timeline for addressing the problem won’t be easy. 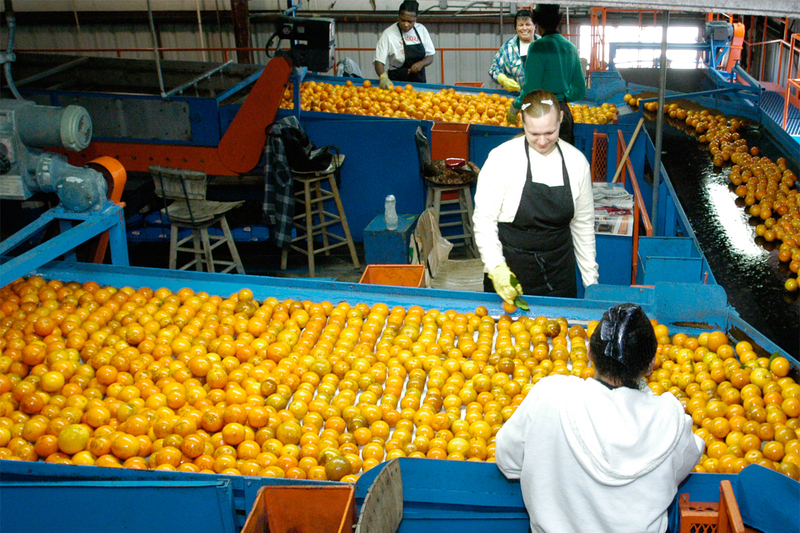 The USDA accepted all nine of the Inspector General’s recommendations to address the audit’s findings, including better transparency about verifying and auditing other countries’ organic practices, better communication among USDA divisions about when organic products are fumigated, and better data collection about what organic foods are imported and under what conditions. The USDA agreed to have those changes in place by July 2018, although given the recent news about the quality of new hires at the agency, as well as the recent departure of NOP head Miles McEvoy, implementation may be slow. In a statement about the new report, Pingree said she’s committed to working with appropriations to make sure the USDA “has the resources it needs to accomplish the recommendations” and more fairly achieve enforcement of organic standards. start making changes on their own. In a statement, the group explained it is seeking to electronically modernize import systems and restrict operations lacking authentic certification. It’s also developing a best-practices guide for the private sector. “The USDA’s July timeline is realistic, but we don’t want to wait to take action,” OTA’s Wyard told Civil Eats. OTA also plans to advocate increases in the NOP’s budget in the next farm bill, so it has the necessary resources and technology for oversight. The NOP’s current paper system of tracking is “a dinosaur,” said Wyard, dying in an age of electronic traceability. OTA’s platform also takes aim at operations exempted from organic certification, which includes farmers annually making $5,000 gross or less, as well as brokers and traders passing along product without handling it—those operations are still expected to follow the USDA Organic regulations, but do not need to go through the certification process. OTA is pragmatic about what to expect from the current Congress. “The farm bill is entering a tough budgetary environment. None of the organic programs are in the baseline, so we absolutely have to defend any small amount of money we can get,” said Wyard. Many of these gaps in authenticity, which show up in USDA’s own sobering reports, have been at issue since the organic label’s inception. And while the organic industry has significantly grown in political power and market share, many companies seem still willing to sell products labeled organic whether or not the production practices line up. And that’s where the industry’s own watchdogging may need to be ramped up. “Our position is that everyone has a role in fraud prevention,” said Wyard. Photo CC-licensed by the USDA.